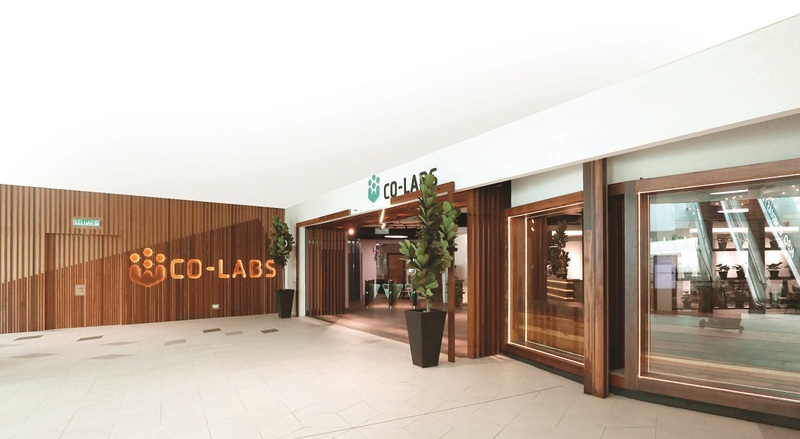 Tucked away on the fourth floor of Starling Mall, Damansara Uptown, is a huge sign that says Co-labs. On the escalator that rises towards it, ride people who carry their laptop bags, and then tap for entry with access cards. Inside, a brainstorming session is being carried out in a meeting room. The space is at once expansive, yet private. Co-labs The Starling is the latest and to date, the biggest co-working office by Paramount Coworking, a subsidiary of Paramount Group. What has prompted a property developer to venture into co-working spaces? “[As you know], Co-labs is under our parent company, Paramount Group. Our main business activity as a group is property development and education. In my previous role, I was leading the innovation team and my mandate was to look at businesses and technology that run parallel to our two core businesses – property development and education. So that was kind of how the idea got generated. “We were looking at how the trends in property are affecting us and how we can address them earlier. 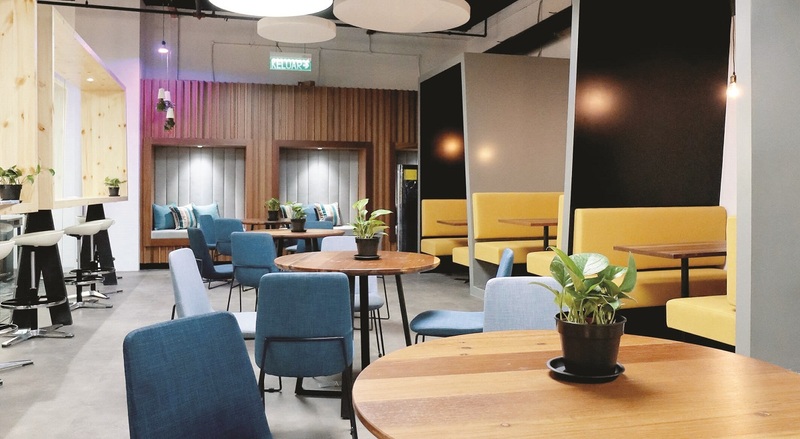 We were looking at the changing nature of work and what that meant,” Paramount Coworking director Benjamin Teo tells EdgeProp.my. As the head of this latest project, it is no surprise that Teo is so passionate about Co-labs. A lot of hands-on research and hard work were put into its formation, including study trips to co-working spaces in Australia and London, before they decided to sally forth. Currently, Teo also wears another hat in the company, as the CEO at Paramount Property Development Sdn Bhd. His role includes overseeing the development of Atwater, Paramount’s latest flagship project in Section 13, Petaling Jaya. According to Teo, Co-labs stemmed from the idea of collaboration, where the company wanted to create a laboratory work space to encourage innovative ideas and cross-collaborations, to facilitate an impactful and meaningful experience of working together. “It is about connectivity, collaboration and the community we want to form. We want to build a community of like-minded people and bring them all together under one roof so that they can achieve their goals and much more. This ethos is the central theme of our tagline – Where Amazing Happens,” Teo enthuses. Opened on July 16, it is currently 20% occupied with startups, companies, and freelancers, from sectors like e-commerce, fintech, proptech, and small medium enterprises. “We have seen a big change in the acceptance level for bigger companies [that are beginning to view co-working spaces] as a possible office solution, hence the wide-ranging types of tenants that we have. We have got a lot of corporate entities looking for space as well, which is quite reassuring because even the bigger companies see this as a viable option,” Teo adds. Co-labs The Starling comprises rooms with configurations of 56 two- to six-desk private office suites, 60 fixed desks and 30 flexi desks with a maximum capacity of 400 pax. They offer daily passes, weekly passes and even event hall rentals. There are also modular rooms where partitions can open up to fit more people in a single room. Among the facilities offered are nap pods, nursing rooms, hot showers, hot beverages, printing facilities, product photography studio, recreational games and arcade room, and private meeting rooms. “We also have a cafe operator here, Khatulistiwah, for those who need to grab a quick snack or hand-brewed coffee,” says Teo, adding that some RM3.5 million has been spent to refurbish the space. In terms of accessibility, the location is directly connected to the Lebuhraya Damansara Puchong, SPRINT Highway and the New Klang Valley Expressway. Alternatively, one can hop onto the Light Railway Transit (Kelana Jaya station) or Mass Rapid Transit (Taman Tun Dr Ismail) as there is a free shuttle bus service which rotates frequently from Starling’s South entrance. The first Co-labs by Paramount Coworking was opened last year at Utropolis Marketplace in Glenmarie, Shah Alam. Spanning 4,000 sq ft, it is currently 90% occupied with a seating capacity of 80 pax. Supported by a property development parent company, Paramount Coworking has all the know-hows in creating functional, beautiful and conducive workspaces. The design ideas and concept were conceived in-house. It also emphasises on creating a sustainable workspace, in line with its company’s core values. “The wood for our tables here in Co-labs is actually 200-year old Chengal hardwood that has been recycled and repurposed to create a meaningful environment. The wood was sourced from an old shoe factory in Klang. “It would be a shame to dispose the wood wastefully. We even use the wood on our wall features, interior, as well as workstations. We really put a lot of time and effort into developing this product and I am very happy to say that this is the best product we have in the market. “Our common facilities are provided in other spaces but we just do it in an elevated fashion. We have things that no other spaces have like having an entertainment lounge with an arcade machine and a photography studio for our guests to utilise,” Teo elaborates. Teo also emphasises the importance of location when it comes to selecting a co-working space. As such, Starling Mall has been chosen to house Co-labs because Damansara Uptown is a matured business address, surrounded by abundant amenities and facilities. “One thing is that we are located in a very nice mall. Other co-working spaces are located in very corporate towers. As you know, Damansara Uptown is a food haven. Surrounding this area are supporting business entities such as banks, supermarkets, eateries, dry cleaners and plenty of parking spaces in the mall. We are currently working on partnering with all these service providers to add value to our member packages,” explains Teo. Teo is not slowing down. There are already plans to open four more locations by next year. Another co-working space at a Kuala Lumpur address is set to open by end of the year while its fourth location, set to open next year in Shah Alam, will be its biggest one – a 40,000 sq ft co-working space. “This office [in Shah Alam] will be anchored by a big corporate anchor tenant of about 200 men. Beyond that perhaps, we are looking at areas like Cheras, Damansara Heights, and Penang. “I think for sure, what we want to do is to help our members grow by providing them with conducive work spaces so that they can work, learn, play and upscale themselves,” Teo concludes. What's the draw at Uptown?